Secretary of State Rex Tillerson is increasingly alarmed by what he sees as secret talks between Jared Kushner, President Donald Trump’s son-in-law and senior adviser, and Saudi Arabian Crown Prince Mohammed bin Salman — fearful that the discussions could backfire and tip the region into chaos, according to three people familiar with Tillerson’s concerns. 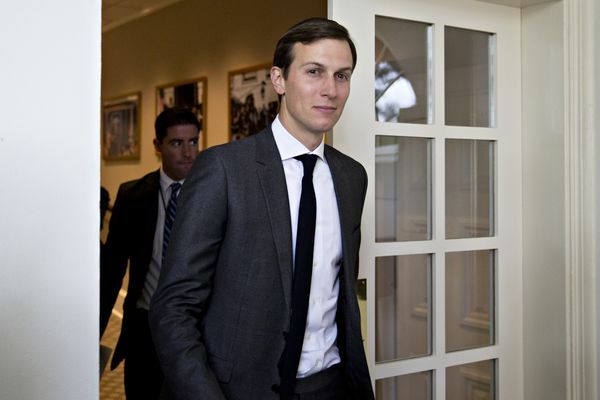 A lasting Middle East peace treaty has been a U.S. goal for decades, and at the start of his administration Trump assigned the 36-year-old Kushner to head up the effort to make it happen. Tillerson believes Kushner hasn’t done enough to share details of the talks with the State Department, according to the people, leaving senior U.S. diplomats in the dark on the full extent of the highly sensitive negotiations. Kushner is scheduled to speak publicly for the first time about the Trump administration’s approach to the Middle East on Sunday. He’ll appear at the Saban Forum in Washington, an annual conference organized by the Center for Middle East Policy at the Brookings Institution that’s focused on U.S.-Israel relations. The State Department’s concerns about Kushner’s approach predate reports this weekthat Trump may move to oust Tillerson by the end of the year. The president rejected the reports, which Tillerson’s team believes are being stoked by Kushner allies, one person said. An administration official said Kushner had nothing to do with the reports. Tillerson and other senior State Department officials are also concerned that Saudi leaders, having been held at arm’s length by President Barack Obama, see the connection with Kushner as a way to regain influence in the White House and U.S. backing for actions that could be controversial. 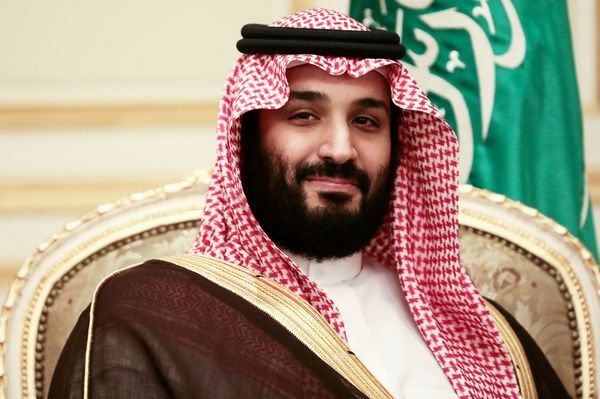 Already, Prince Mohammed, heir to the Saudi throne, has put several such steps into motion. A White House official said Kushner was not aware in advance of the Saudi moves and gave no signal of approval beforehand. NSC spokesman Michael Anton denied that the NSC and National Security Adviser H.R. McMaster aren’t being fully informed by Kushner. “General McMaster and the National Security Council believe that the Israeli-Palestinian peace team led by Jared runs a thorough and transparent interagency process, feel completely in the loop about their conversations with the Saudis and other parties and have complete confidence in their overseeing the Administration’s efforts to facilitate an Israeli-Palestinian peace deal with regional support,” Anton said in a prepared statement. Tillerson is concerned that Saudi Arabia may want to act with a freer hand in Qatar, moving beyond its economic embargo to pursue military action, according to the people. One risk is that such a move could have any number of unpredictable and dangerous consequences, including inflamed tensions with Russia and Turkey, an armed response from Iran, or a missile attack on Israel by Iran-backed Hezbollah. In recent weeks, Tillerson has attempted to put the brakes on key parts of any potential plan, the people said, saying he is does not want the Saudis to get mixed messages from U.S. diplomats and the president’s son-in-law. The White House denied the contention that Kushner isn’t fully communicating with Tillerson and the State Department, and also disputed the description of the discussions between Kushner and Prince Mohammed. Kushner frequently visits the State Department to brief Tillerson about his efforts in the Middle East, but the worry is that, whether by design or neglect, Kushner hasn’t kept the secretary of state or his top aides informed about many of the details of his overseas negotiations. Kushner has grown close to Prince Mohammed, 32, and has traveled to Saudi Arabia for some of the discussions. What’s worrisome to U.S. officials is that Kushner may have given the Saudis secret assurances that don’t have wider support. In September, Trump himself intervened on the question of Saudi military action against Qatar, telling Saudi Arabia’s leaders to drop the idea, Bloomberg reported at the time. Yet the Saudis may not have given up, said two of the people. Trump has authorized Tillerson to inform Saudi leaders the U.S. won’t tolerate an attempt to force regime change in Qatar, even if they had heard otherwise from Kushner, one of the people said. It isn’t clear how far along the discussions are between Kushner and Prince Mohammed, three people said. And some in the U.S. government are skeptical the effort will succeed, in part because of the historic intractability of Israelis and Palestinians, and because any peace deal would ultimately require the support of many competing leaders in the region. The State Department officials’ skepticism about the Middle East discussions also reveals ongoing frustration at the president’s decision to go around them and the U.S. diplomatic corps he regularly disparages. Instead, Trump placed delicate peace negotiations in the hands of Kushner, who has no experience in diplomacy and little background in the complexities of one of the world’s most volatile regions.